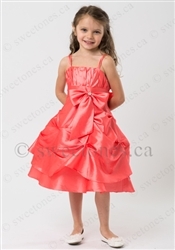 Whether she wants to be a fashionista or a princess on a wedding or party, your sweet girl will look lovely wearing a party dress from SweetOnes.ca. 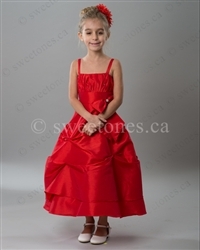 With our large variety of colours and styles, we're sure she'll find the perfect dress to wear to make her feel beautiful. Don't forget to add pretty accessories to complete the outfit: hairpins, hair bands, jewellery, gloves, and purses.